This is a VERY simple application of the Hollow Face illusion used so well by Disney for their talking busts. The eyes seem to look at you wherever you go. 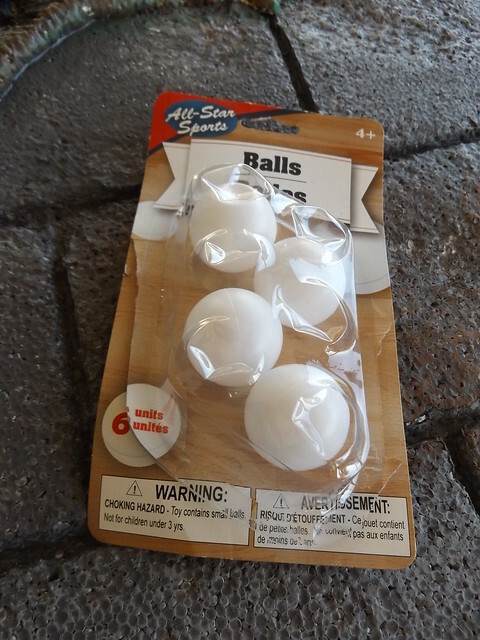 I grabbed the last package of ping pong balls at the Dollar Tree. They were badly abused, but it makes no difference to me, so I guess I saved them from the trash? I cut one in half with an Xacto knife, then I used a Sharpie to create pupils, and crayons to create irises. 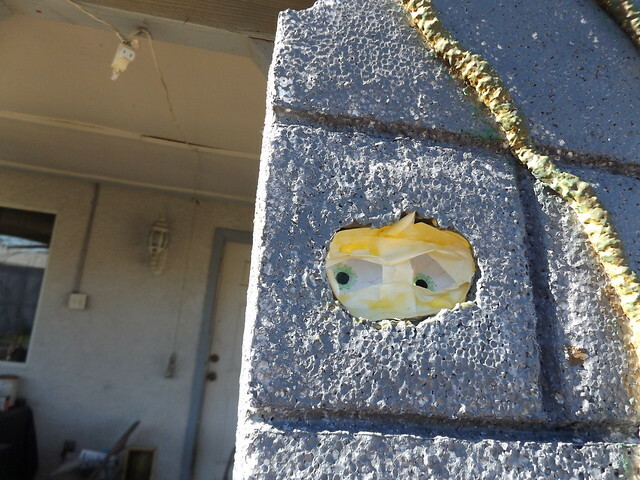 I was putting these eyes into a "stone" wall, so I tore out some space in the foam of the wall and placed the eyes in there. I used clear tape to stick them in place from behind. 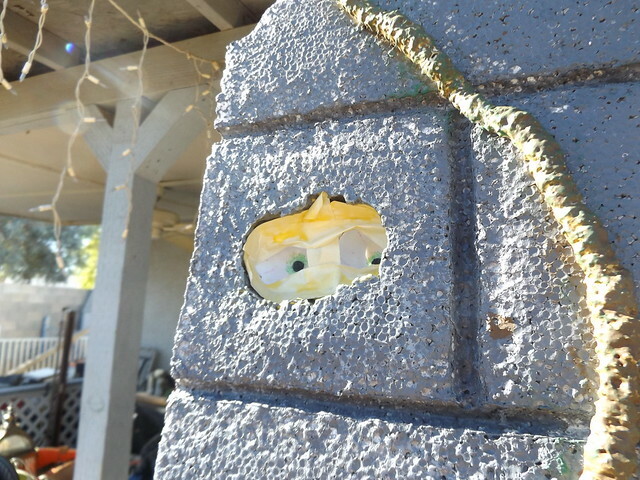 The convex part of the eyes is to the back of the wall. For the illusion to have maximum effect, I find it's best to have light shining through the eyes. Your results may vary. Still, that's why I used clear tape rather than any other method. 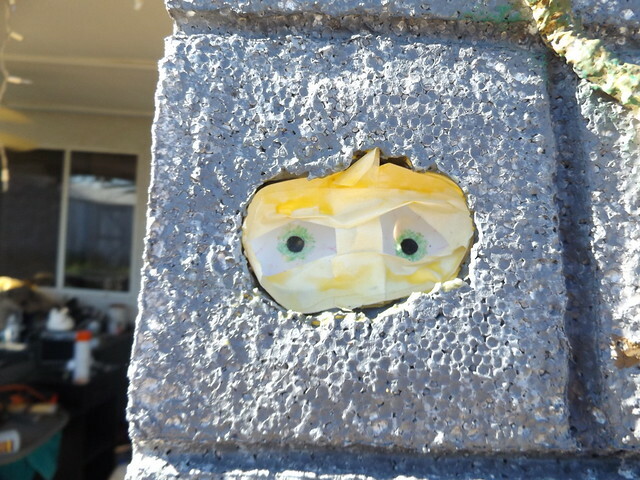 I used masking tape to secure the eyes from the front, and to create lids so they kind of look like eyes. Even unfinished, you can see that from different angles, the eyes appear to be following you. Watching you. Watching me. 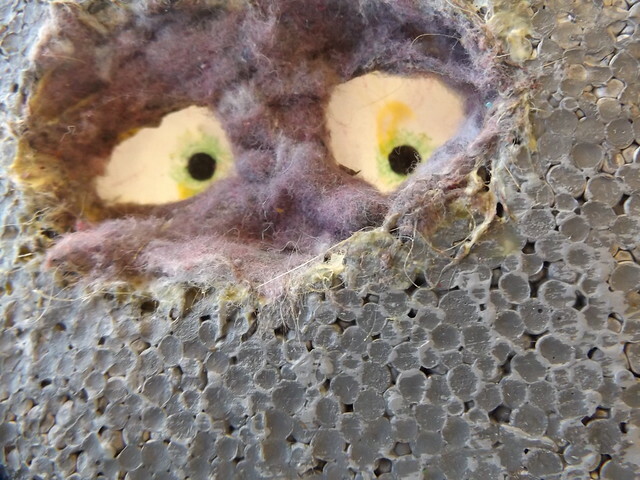 I decided to add a skin of just dryer lint. Yep. 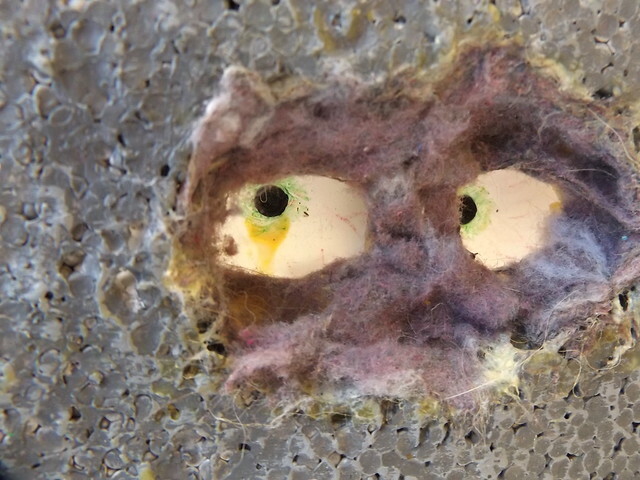 Dryer lint. Just lay some glue down over the masking tape and gently cover with the lint. I like the look. Just what is that thing watching you? I used to do a very similar thing in the front window of my home. Instead of ping pong balls I'd use clear salad bowls from Dollar Tree, add irises, and tape them to black poster board. I had cut large eye shaped in the poster board ahead of time. 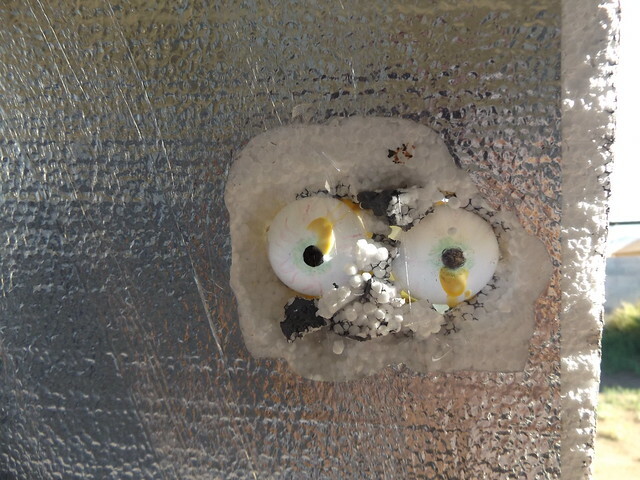 Then I put them in the window and the interior lights illuminated the eyes nicely. They "watched" anyone standing in the yard.